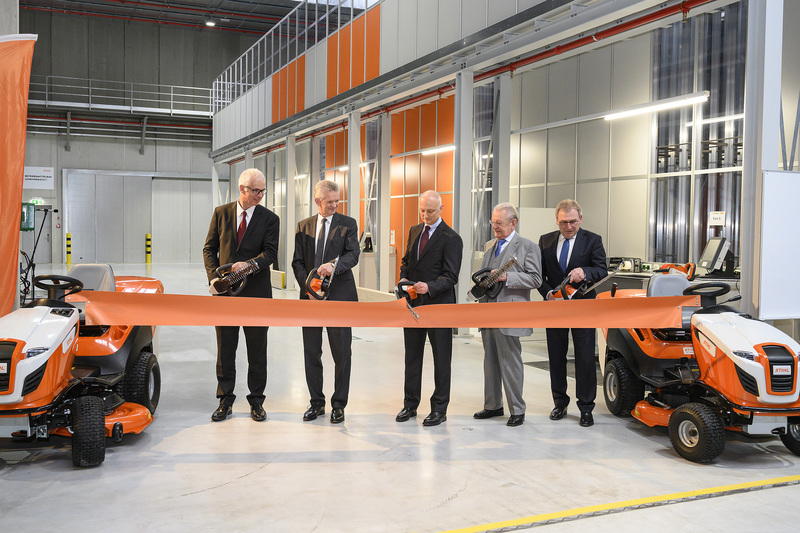 STIHL Tirol is strengthening its development and production activities at its Langkampen location and officially inaugurated a new extension building on February 1, 2019. With an investment volume of EUR 22.8 million, the new wing is the largest single investment to date at the Austrian location. Dr. Nikolas Stihl, Chairman of the Advisory Board and Supervisory Board at STIHL, and himself the former long-standing Managing Director of the location in Tyrol, said: "This investment not only reflects our confidence in the future business development of STIHL Tirol, it is also a further expression of our commitment to the location. We will continue to focus on Langkampen as a competence center and manufacturing location for ground-supported STIHL garden tools and battery-powered products." With a total floor space of 20,000 square meters, the facility offers a wide range of new spaces and room for some 150 new jobs, 65 of which had already been filled by the start of 2019. As a result, the number of people employed by STIHL Tirol is expected to surpass the 600 mark in the near future. The production of lawn mowers and other STIHL ground-supported garden tools has been stepped up considerably as a result of the expansion. The research and development team now has access to state-of-the-art electronics laboratories for the STIHL iMow robotic mower and endurance testing facilities, among other amenities. One highlight is the green roof, which serves as a space for testing the robotic mowers. 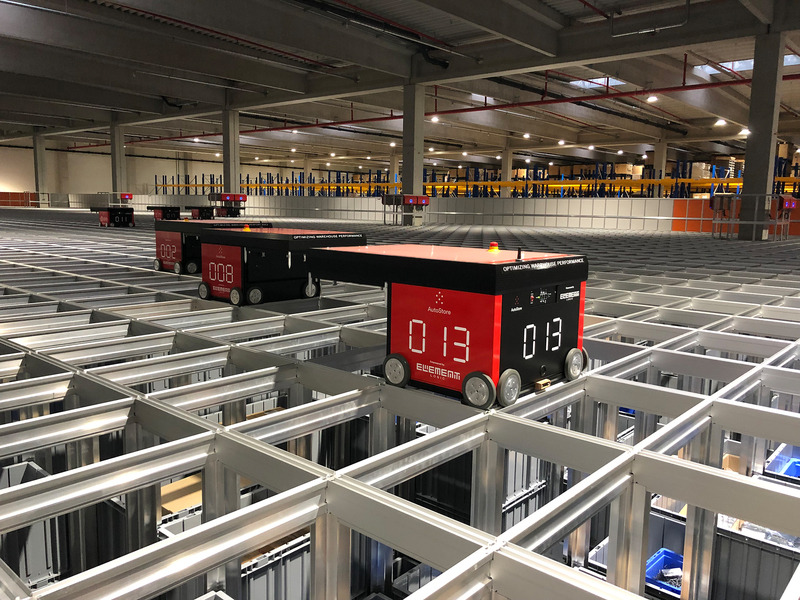 A fully automated small parts warehouse that is currently one of the most innovative ware-housing systems in Austria has been added to support logistics. In addition, a separate training workshop dedicated to training future specialists has also been set up. Despite the challenges, construction took just 16 months to complete. Dr. Clemens Schaller, Managing Director of STIHL Tirol, said, "We're happy that this major project was completed on schedule, at the projected cost and in line with the agreed-upon quality standards." Josef Koller, an authorized company representative who oversaw the construction project, added, "We would like to praise the smooth working partnership with our general contractor, Rieder Bau, and the authorities involved in the project." Many of the external partners were based in the local area. "As a result, a lot of the value created will remain in the region," Koller said. VIKING GmbH (Langkampfen, Austria) was renamed STIHL Tirol GmbH effective July 1, 2018. The new company name was part of a change in brand. Since 2019, all former VIKING products have been marketed under the STIHL brand. VIKING GmbH was founded in Kufstein, Austria, in 1981 and became a wholly owned subsidiary of the STIHL Group in 1992. In 2001, the company relocated from Kufstein to Langkampfen. Fueled by rapid growth, the site has since undergone continuous expansion. The new wing is the fourth in a series of expansion projects. Its constant, strong growth in recent years has made the Tyrol-based company one of the leading names in the garden tools industry. With 480 employees, the company generated sales of 381.9 million euros in 2017. As the Group's competence center for ground-supported garden tools, the STIHL plant in Tyrol manufactures products and develops them in cooperation with STIHL headquarters in Waiblingen. At STIHL Tirol's new automated small parts warehouse, 17 robots store 47,000 containers and stack them in aluminum shafts. In recent months, STIHL Tirol has once again significantly expanded its facilities at its site in Langkampfen. The new wing offers even more space for the production of innovative STIHL garden tools.